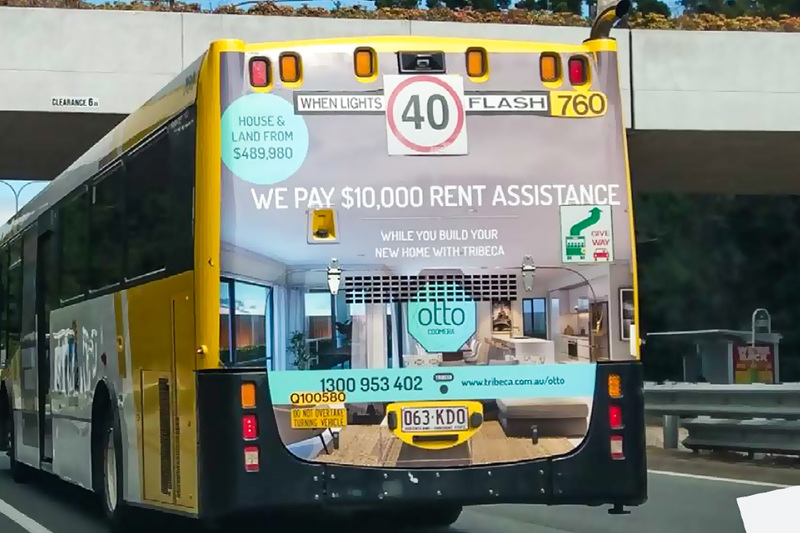 Using established brand guidelines design new advertising creative for Tribeca's new housing estate The Otto to rolled out to print, digital and outdoor advertising. A photo shoot of the surrounding area where the housing estate is located was first commissioned. This focussed on local amenities, schools, health services, transport and entertainment. 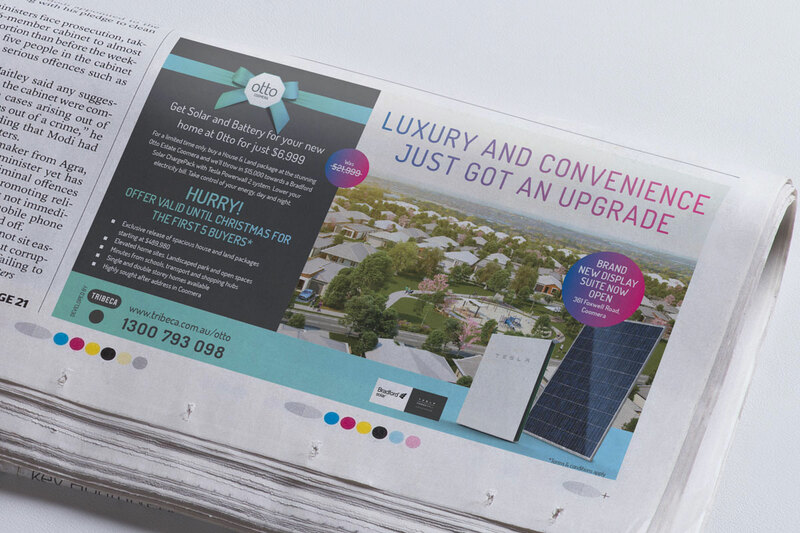 I then came up with various headline copy for the advertising. 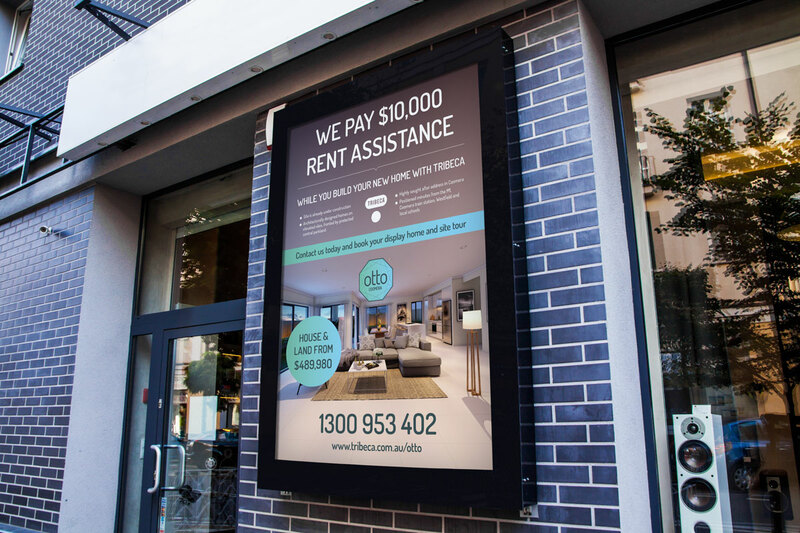 Two creative concepts were presented, then once confirmed it was then rolled out to various advertising mediums. 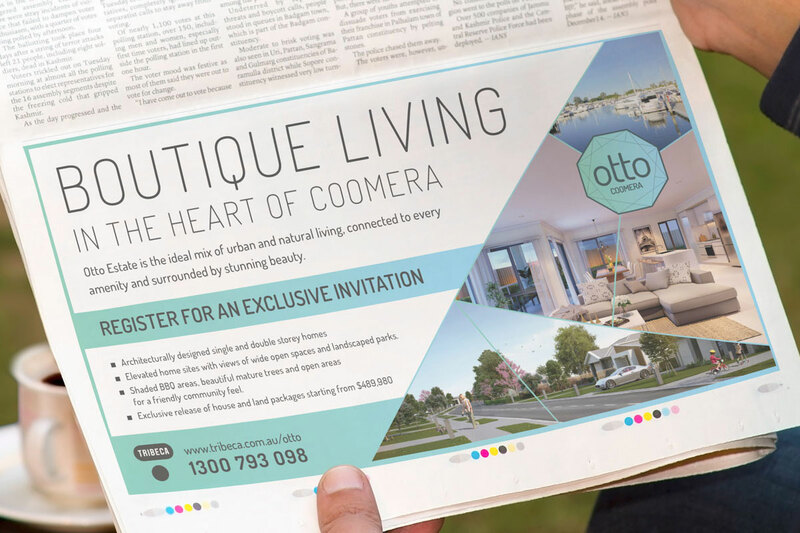 The Otto needed to capitalise on the growing popularity of the Gold Coast region for first home buyers and investors. This new push put elevated The Otto and drove a marked increase of enquieries to Tribeca as well as increase traffic the their website.